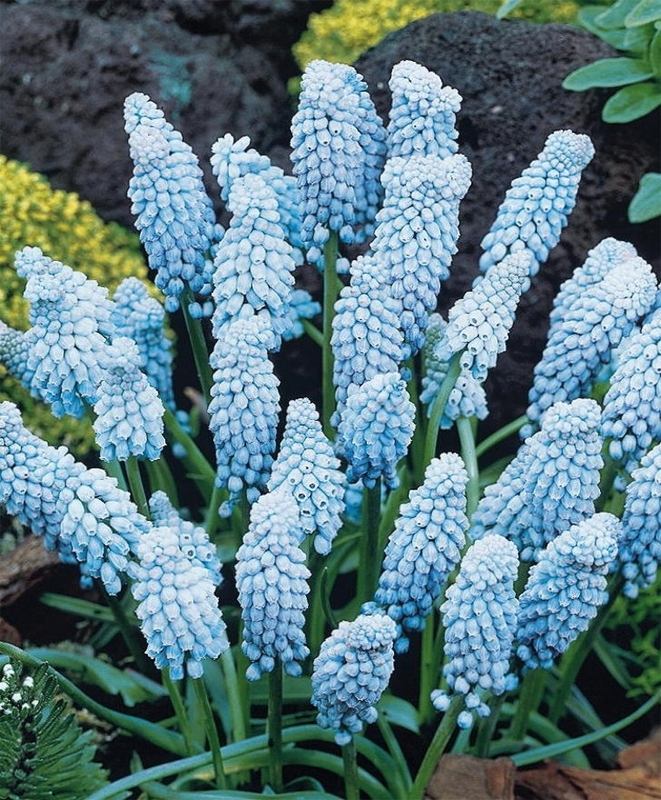 Our long-lasting balanced Magical Muscari Mixture includes Muscari armeniacum, Muscari armeniacum Siberian Tiger, Muscari latifolium and Muscari Valerie Finnis for tones of periwinkle, sapphire, cerulean, pale wisteria and white above ample foliage clumps. 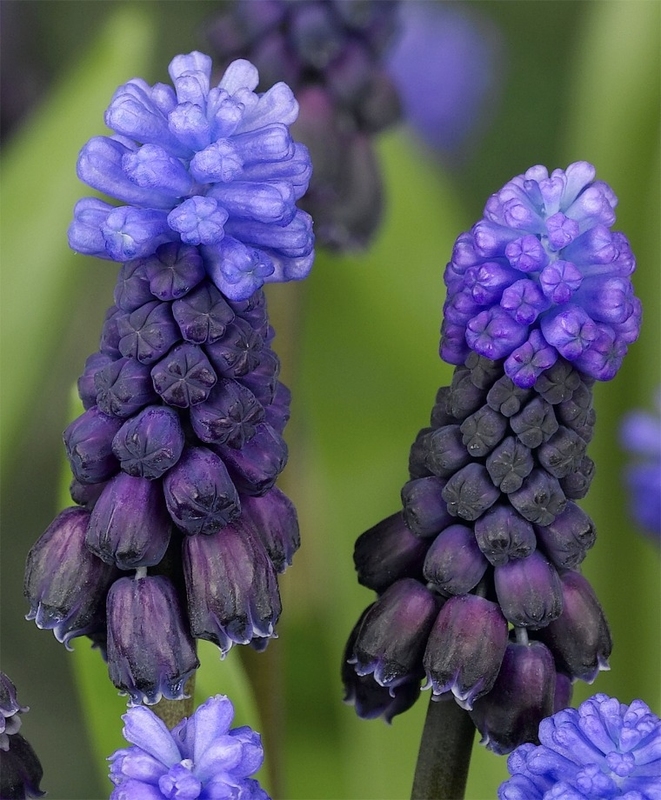 Commonly referred to as Grape Hyacinths, deer- and rodent-resistant Muscari naturalize readily in well-draining soil and in full to partial sunlight. 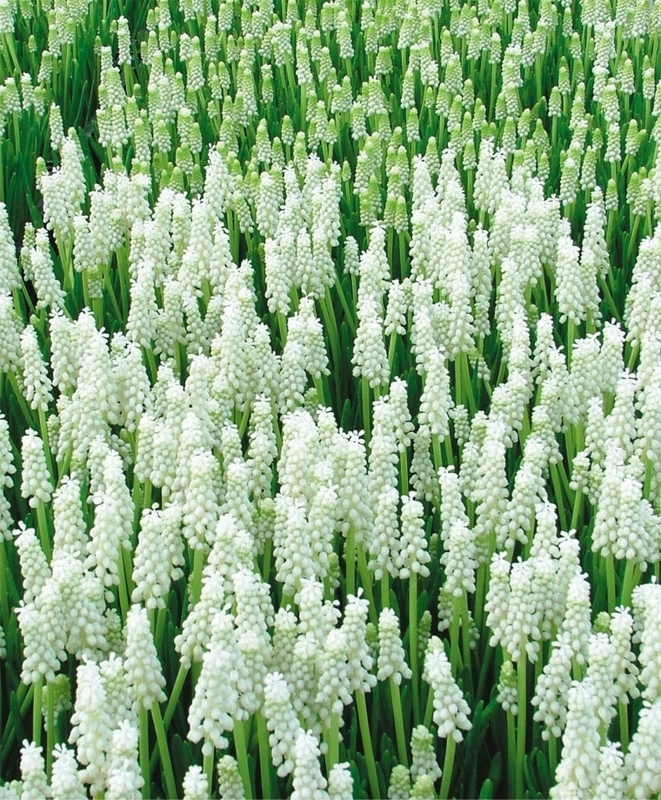 You’ll need about nine bulbs per square foot. 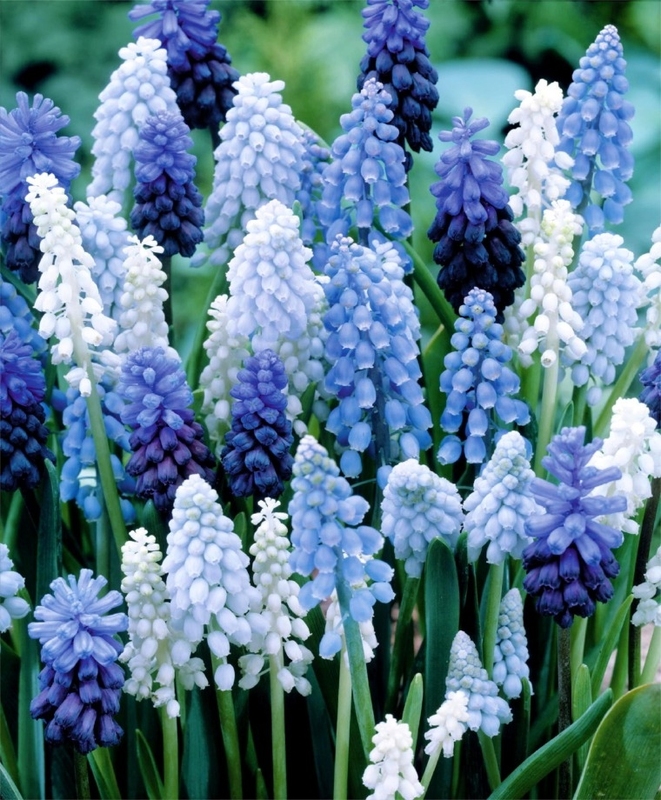 Bulb sizes: 6 to 9 cm/up: M. armeniacum Siberian Tiger and latifolium naturally makes a smaller bulb than the others. Full to partial sunlight. 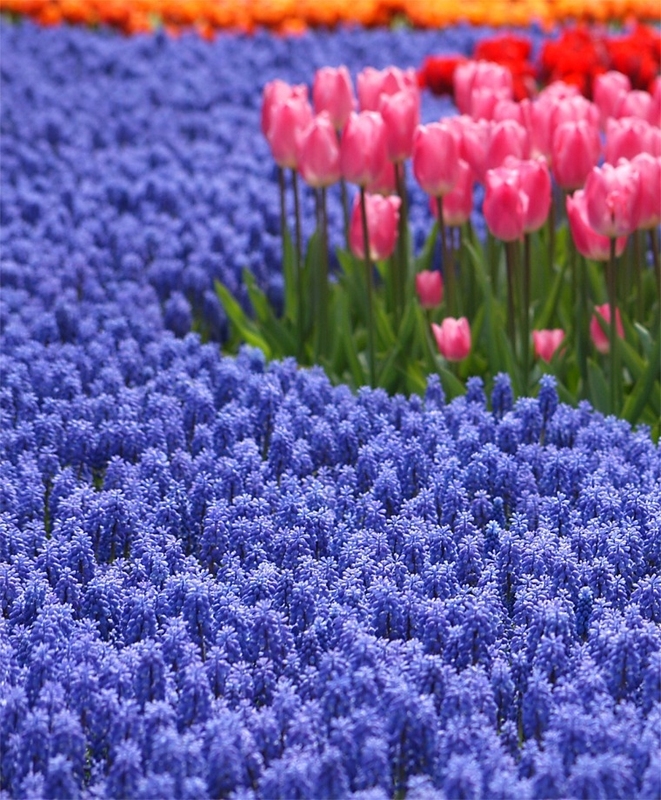 Bloom time in horticultural zone 5: April/May. 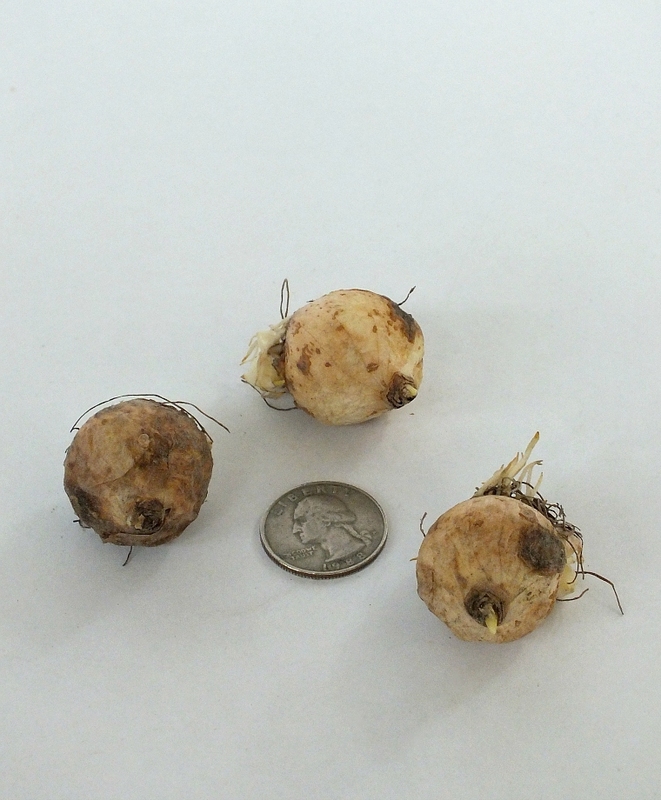 Plant 5" deep and 3" to 4" apart. HZ: 4-8. Height: 6".